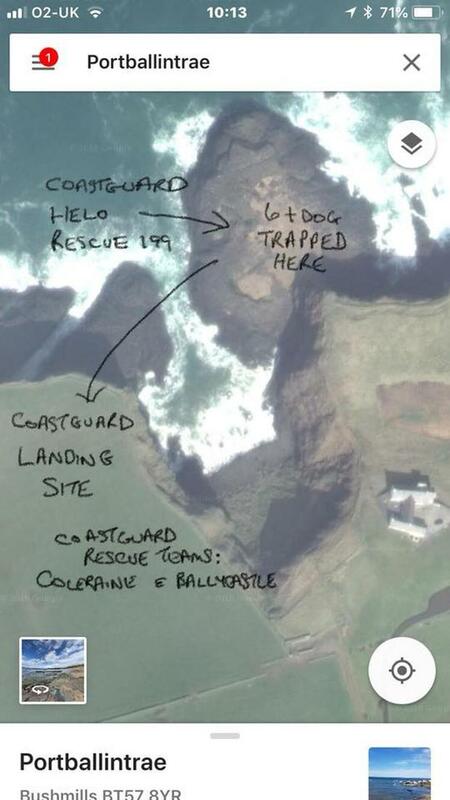 The coastguard rescued six people and their dog after they became trapped on rocks off the coast of Co Antrim. Credit: Coleraine Coastguard. Six people and their dog have been rescued by the Coastguard after getting trapped on rocks off the coast of Co Antrim. The family had been out exploring the coast when they got trapped on rocks west of Portballintrae. After waiting for three hours to see if the tide would go out the group decided to ring the Belfast Coastguard for assistance. Coastguard teams from Coleraine and Ballycastle and the Coastguard Helicopter Rescue were sent to help the party. A spokesperson for Coleraine Coastguard said that the family had been forced to build a fire in an attempt to stay warm. 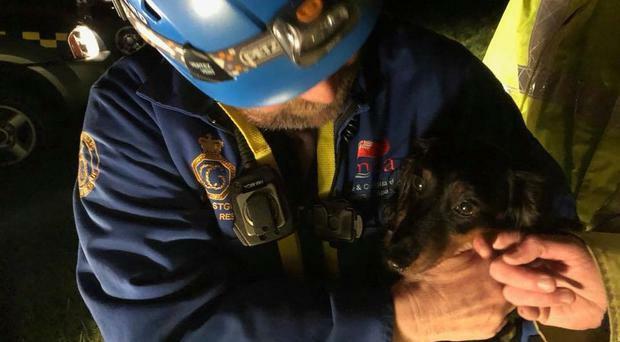 "The trapped party was quickly located by the Coastguard teams and their position was passed to the helicopter," the spokesperson said. "A CG winchman was lowered to assess the situation and extinguish the fire, before the helicopter carefully manoeuvred and landed on the outcrop. "All six casualties plus dog were then airlifted to the cliff top and given into the care of Coastguard personnel. "There were no injuries, though one of the party had got wet trying to wade unsuccessfully to safety at the start of the incident. "All were very thankful for Coastguard assistance and were taken home to recover from their ordeal." A map showing the position of the trapped group. Credit: Coleraine Coastguard.